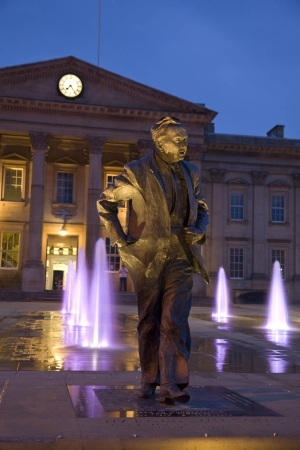 Huddersfield has been at the heart of British Textile Manufacturing for over 700 years. 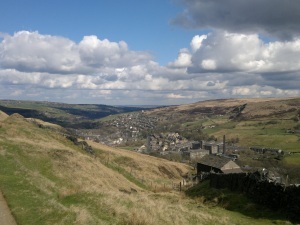 A unique combination of environmental and geological factors make this area, on the edge of the Pennine hills, the perfect place to make wool textiles. 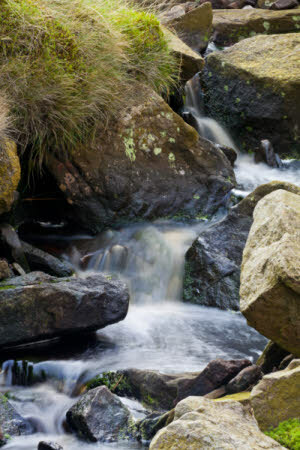 The town sits at the convergence of the rivers Colne and Holme, and it is the water of these rivers, filtered slowly through the millstone grit of the Pennines, which watered sheep, powered mills and, most importantly, is perfect for washing raw wool. Originally as a cottage industry, many local people would spin and weave woollen cloth in their homes, selling their wares through Merchants at the town’s cloth hall. The Industrial Revolution of the 19th Century brought great change and unrest to the area as textile manufacturing became mechanised, with mills specialising in producing fine worsted and woollen cloths. The manufacture of these specialist fabrics required a high level of expertise and as the Cottage Weavers could not compete with the industrialists they took their skills into the Mills. 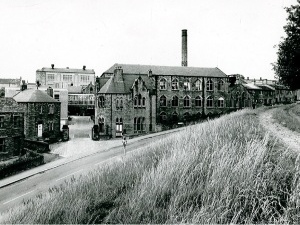 Huddersfield soon became synonymous with the manufacture of fine textiles. 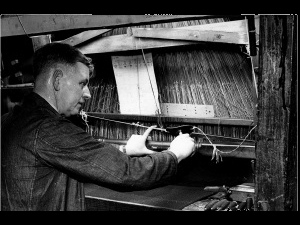 The ‘Made in Huddersfield’ selvedge became highly sought after throughout the world, and the Town prospered. 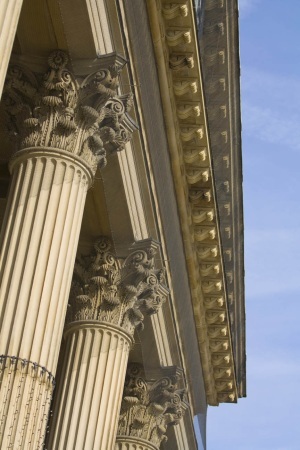 Huddersfield’s architecture still reflects this wealth today, with famous buildings such as the Town Hall and Railway Station having been funded by wealthy local industrialists. At the peak of the industry there were hundreds of individual mills in the West Riding area. The town itself bore generations of skilled craftsmen. Spinners, designers, weavers, finishers, burlers and menders, each with his own crucial role in the production of the world’s most iconic fabrics. HFW is part of this tradition and our heritage is interwoven with the history of the town and its people. Sadly, in the mid 20th Century the industry went into decline and over time many of the famous mills were amalgamated. HFW has kept alive several of those trading names. These days we use just three of them, Hardy Minnis, Hunt & Winterbotham and Martin Sons & Co.